It was 25th Dec, Christmas day, and our flight from Terminal three of the new IGI Airport at Delhi was scheduled to depart at 8 PM. We comfortably settled down and waited. After a while the pilot announced that due to onset of fog the flight will be delayed. As time passed the visibility reduced further and we could barely see the runway. The thought of spending a long night in the flight, waiting for fog to clear was very depressing. Around midnight the airlines staff distributed some sandwiches and juice but the spirits were still down. The prospect of the aircraft to depart was grim as no further announcements were made. Around 6 AM the airlines made an announcement that we could disembark and wait in the lounge after going through the security process once again with new boarding passes. The flight departed at 11 AM the next day (delayed by 15 hours!). There was no Santa Claus to alleviate our misery. We had been sleepless for now over 36 hours when we landed in Kualalumpur and soon after checking in the hotel, dropped in the bed. The view from the seventh floor room was majestic overlooking the Brickfields area, with towering skyscrapers and busy marketplace right below, as I peered out from the window the next day morning. We headed to the twin Petronas Towers and the sprawling Suria KLCC complex. It was decorated with buntings, neon lights and Christmas trees. People were thronging the place right from the morning dressed in their best attire. A whiff of freshly baked bread from the bakery was overpowering. The eating places offered a wide variety of selections from local Nasi Lemak(local Malaysian fare) to Chinese, Continental, Italian and Indian food.The dancing fountains and beautifully maintained lush green lawns in the vicinity of Petronas towers are a treat to watch. Next day, we were to leave for Bali! I was wonder struck about the place after reading ‘Eat, Pray and Love’ by Elisabeth Gilbert. Time had come to visit this beautiful Hindu island in Indonesia. The mesmerizing performance of Ramayana and Barong dance, lush green rice fields, the rising active volcano of Kintamani all make it a complete family holiday The roads are very good and there are no hiccups while traveling. Around Ubud there is dense vegetation and the drive on the long winding road is exciting as cold gust of wind uplifts the soul. The art village, the painter's village, batik painters , the gold & silver inlay workers village, pottery makers, and all the traditional arts are concentrated around Ubud whereas the best beaches and up market cottages and resorts are located near Nusa Dua and Seminyak There are ample food choice besides the local fare of rice, roast pig ling, fish, chicken and mutton. On the New Year eve, the whole town was out in the streets and the environment was charged with, fun, music, gaiety and color. An occasional shower sent the revelers scurrying for shelter. A burst of crackers and fireworks heralded the New Year as the skies lit up. The rejoicing continued for the next day as we continued with a binge of eating and going around. The previous evening's rain had not dampened our spirits. Two things about Bali make it a very special place. All men/women have only one of the four names based on the birth order. The first one is ‘Wayan or Yan’, the second , ‘Made’, third one is ‘Nyoman’ or’Komang’ and the fourth one is ‘Ketut’.If there is a fifth child in the family he / she is Wayan Balik(or Wayan again). The second special thing is that both birth and death are associated with elaborate rituals and festivities and sometimes very expensive! You haven't said which airlines it was! that was a short and sweet trip and both your girls are beautiful :) I have heard a lot about Bali being a cultural melting pot too. I think we should head there once. The names of Baliites (is that the right way to say it?) is interesting. Zephyr, it was Air Asia which has now discontinued service from Delhi. Thanks for your lovely compliment. The one in pink dress is my wife( Jyoti) and the one in white top is my daughter( Vaidehi):) :)Bali is just amazing with the kind of options it has for a family holiday! Thanks a lot for your kind comment! wow- this was indeed interesting!! Of course for me- Malaysia is almost like second home- but Bali, on the other hand, I have not been to! It was good seeing it through your eyes. Anjuli, I know about Malaysia being your second home so it would have felt nice to connect:)I remember those nice jingles which you mentioned in that nice comment! A very close feiend of ours resides in Singapore, and he is after us to visit Singapore and then malaysia and Bali. Your post makes his offer even so more tempting now. And I have heard about the indian influence in Bali. The barong dance picture is merserising. Also first time a family pic for us :-) I loved it! And sorry if I sound silly, but just 4 names reused in the family. Isn't that odd? The 15 hour flight delay was surely a dampner, but both the beautiful cities made up for it! Yes, a quaint system of name but that is how it is!I have gone through a lot of adventures on international travels and this 15 hr hiccup was nothing in comparison:)Thanks for reading these stories! Looks like a nice enjoyable well planned holiday barring the irksome delay in departure ! True Rama! Man proposes and airlines disposes:) Thanks a lot! I am glad that the little hiccup did not spoil the holiday :) and you had fun. Bikram while doing a 'safar' sometimes one has to suffer too! A huge thanks for liking. Thanks a lot Uma for enjoying the read! The naming system and the caste system followed in Bali is unique. I would need another post for that! What a wonderful trip! What a wonderful place! I so want to go there now! Arti, any words of praise from you, an expert on travel writing acts as a booster:)Yes, the world has so many unique things that even if we travel all the year round, we may still miss many things. Thanks again! I think you should compile all your travel experiences into a book, people could learn so much from you! A 15 hour delay - thats terribly long but the golden ticket at the end seemed to be very worth it. KL is one of my favourite cites, love the vibe and culture, which you have clearly and beautifully depicted here. I would love to visit Bali, it sounds like an adventure of the senses, tastes and mind. Had no idea about the names, thats so interesting! Sam, you are ever so kind and generous in praise! I wish I could write all about my travel tales! The 15 hr delay was no way a dampener and as you rightly said was a golden ticket for the remaining journey! Thanks again for enjoying what I wrote! Thanks a lot Insignia for being there to keep encouraging me in my writing endeavors! 15 hours delay, I would have slept for 2 days the moment I landed in the hotel. I think Bali is one of the most beautiful places on earth. And the name theory they use there is very amusing. And like India they have rituals on both birth and death. Thank God, your return flight by on time. Thanks for sharing your trip with us. Hi Rahul, this is the first time I am not jealous as I have visited Malaysia. I loved the Petronas Towers. Bali is a place I want to visit. I have never been there... I AM JEALOUS! hmmmm, thailand, USA, Brasil, Venezuela, mexico, that's it...not too much! Wow, wish I could go there too! A lovely descriptive post about your holiday dear Rahul, I very much enjoyed it and the photos too; a lovely photo of you with your beautiful girls. Thanks a lot Dianne for those kind words. I am happy you liked my family picture which I described in my reply to Zephyr! Welcome to my blog Amrit! Thanks a lot for your kind comment! Love the post ..Malaysia is beautiful.But sorry it is not truly Asia. This is scam just to attract tourist .India is truly Asia. Far east Asian countries never attracted me ever in my life. Izdiher I love the way you 'call a spade a spade':)You have bestowed the honor to India for representing Asia is even a bigger icing on cake:) Thanks a lot! We covered most of KL on foot. It's a vibrant city and so easy on your pocket. Bali, from your description sounds tantalizing. and I recently saw the movie EAT PRAY LOVE ;) dint u meet KETUT? 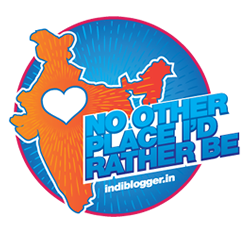 Yes you truly deserve it :D be proud of the talent you have :D I am very happy to have got such awesome blogger loop atleast after 5yrs being in blogger. I feel humbled by those kind remarks, Ramya:) I am so fortunate to have someone as nice as you reading this blog and also writing some remarkable posts too!My sincere thanks once again! What a wonderful holiday you had with your family! I've never been Malaysia or Bali so I didn't know that malaysia represents every form of Asis. Barong dance looks fun,exotic. Indeed waiting for 15 hours realy exhaust. Sounds great! Beautiful write-up and photos. Oh, and very nice to see your gorgeous family. Thanks so much for sharing it with us! super post..pleasant family..gr8 going sir..
Have never been to Bali.Malaysia was beautiful and fun place to be during Christmas and new year for us too. Your travel stories are really nice! Beautiful pictures and your post brought the place alive for me. A huge thanks, Rek for that very kind comment! You are so lucky to have visited such beautiful places. Bali seems so lovely. And, your wife and daughter are pretty! Honestly, I am lucky, Rachna to have been to some nice places and the urge to share becomes difficult to suppress sometimes:)Thanks a lot for your appreciation of the family pic! Very nice to see you back, Jyoti with the load of exams off your head:) Thanks a lot for the nice words and hope you travel all over the globe and see many places! hmmm..your post made me fresh. you know i have been married nearly six months yet could not arrange our honeymoon trip.i decided to go to Maldive if i could spare some money but after reading your post had to change my mind. by the way you and your family looking as fresh as the lush green field behind. Never been to KL. Planning to this August so thanks for sharing your visit. Ketut...where have I come across that name before! Just kidding. l It's so cool when you get to visit a place you have read about in a book, right? The tidbit about the names in Bali is very interesting. It was news to me. Very true, Divya. Reading about a place makes you secretly wish to go there!Next on the list is Strawberry farms and Japanese gardens:)Thanks for liking the post! Renu, that was really kind of you ! I try to cut down on so many details as I fear they may bore the reader:)Thanks a lot! Thanks for the visit. Enjoyed a virtual tour of Malaysia and Bali.I have hear and seen pics of Ramayana performances. Thank you for your very kind comment, it made my day! Wow! Nice memoir! Good read. What an adventure! So glad it finished better than it started. Have a great weekend! Ashwini a sincere thanks for those kind words! such sweet pics!!! Never been to Bali but now am a wee-bit curious:) I like the naming protocol--could save a lot of identity clashes and perhaps generates more harmony that way! Amazing post and pictures! Sounds like you 'n your family had a great trip... very well described! That Arjun with horses/chariot statue closely resembles the art-work I described in my post :) I didn't know that Bali was a Hindu island. Is it a separate country or is it within Malaysia? Bali is a part of Indonesia and is an island where predominantly Hindus reside:) Thanks a lot DI ! I was delighted to go through this wonderful post as I am also planning to visit Bali once I land up at Singapore this year end. Sounds like an awesome trip! Oh! That’s long hours of waiting and I’m sure it must be a great disappointment. But the following description was cheering and was like overtaking the long waiting at airport. Lovely photos and great view on the Mt.! The delay was just delaying the wonderful time you and your family were going to have! :) Nice pics sir.. The naming convention is interesting! Have always wanted to visit Bali. Great read, Rahul. Thanks! Wonderful pictures. Many such delays or waiting for hours in airports for change of flights is really very tiresome and boring.I remember once travelling by Sri Lankan airways to Europe, where we had to wait for 4 hours,in their airport,it was really boring. We had opted for that airway because it was the cheapest at that time to London, and their service too was very good except for the waiting. Anyway, it was good to know that you enjoyed the trip. Personally I liked Thailand better than both Malaysia and Singapore. I haven't been to Bali yet. The picture of your daughter and wife is very good. Such a lovely family photo. Hope you keep traveling like this always. A sincere thanks Gayatri that you liked the pic:) Will write more about my current trip on return:) Nice to see you again! Well clicked moments, love to visit this place. Thanks a lot Diana for your nice comment! Wow.. you have wrapped it all so well. The unknown and the interesting parts have been covered all.. Mine has turned out too lengthy.. I enjoyed the post. A big thanks Manjulika for taking time off to read this post:) Look forward to read your series!